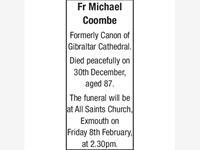 Fr Michael Coombe Formerly Canon of Gibraltar Cathedral. Died peacefully on 30th December, aged 87. 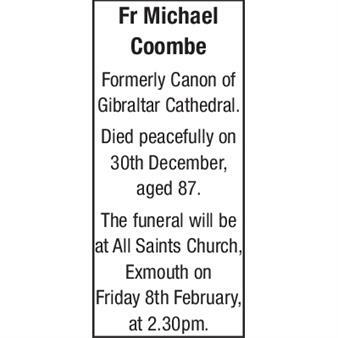 The funeral will be at All Saints Church, Exmouth on Friday 8th February, at 2.30pm.